When it comes to the importance of our environment there are so many topics to cover and consider. The future of our planet’s health not only rests upon our shoulders, but passing on important eco-friendly values to our children is vital for ensuring a healthy planet for the next generation and so on. Instilling an eco-friendly and green lifestyle in our kids and the children in our lives is now more important than ever. It is never too early to plant the seed of planetary respect with our young ones either. Whether you use eco-baby products such as cloth diapers and organic baby food from birth, or you want to teach kids the importance of recycling and conservation, we are sure this section of Save With Green will be extremely valuable to you and yours. Here you will find continual updates about all things eco baby, kids and even teen related. From baby products, non-toxic toys and school supplies to teenage school project ideas, this is your go to eco-kids guide packed with tips on how children can become eco-friendly and even help finding the best places to purchase green school supplies and much more. Teaching kids about everything from bio-diversity and climate change to recycling and air pollution is important for so many reasons. Helping the next generation better understand the importance of conservation on all levels should start as soon as birth (even before) in many cases, most definitely when our babies turn into toddlers! At the very least, the minute they can walk is the time when you can start them on the right path for forward motion into a harmonious life. Think about how different things might be now if you knew what you know about the planets health then! Set your children up for success as soon as possible. The younger the better! Teaching our children about conservation consists of more than just telling them to turn the TV off when they are done. These days it is important to show them in-depth WHY it is important to do so. It is about MORE than Mom and Dad having a cheaper power bill. It is about conserving energy and spending more time away from the TV! Our children are starving for information, it is our responsibility to give them the best pieces of information we possibly can about living a greener, more eco-conscious life. It is really a non-negotiable when you think about it. Honestly, now that you have amazing resources such as this one, the challenges of teaching your children about such topics as eco-systems will all but disappear. Come on we all hated science at some point in school! It doesn’t have to be like that for our little eco-kids though does it? You’ll be about to reference this section on a continual basis as we will work hard to update it with relevant topics based on the following categories. As we mentioned above, positive encouragement starts as soon as you can teach positive reinforcement. There are nuances and routines our children can learn as early as infancy. From being fed organic foods to sleeping in a crib made from non-toxic products, your eco-baby’s environment can be shaped and molded before you even know it. We are not suggesting that your infant will understand the difference between an organic baby food diet and a typical baby food diet, but their health and well-being will. Our eco-baby section of green tips will cover topics ranging from the best foods to feed them to the most affordable non-toxic supplies and toys. New parents are some of the most interested consumers when it comes to comparison shopping and learning about safety. This section will cover it all with the most eco-friendliest of terms possible. Kids are like sponges when it comes to learning. We aren’t necessarily talking about taking tests in school here; we are talking about absorbing their surroundings. Our kids emulate us more than we may ever even know. How better to set an example then to have them emulate your positive attributes about caring for the planet. Sharing your recycling skills and other environmentally savvy skills with your kids from the get-go is not only easy to do; it also becomes the norm for them much easier this way. Everything from the importance of conservation to school supplies and at home eco-friendly art projects will be covered here in our eco-kids section. Let your kids flourish and advocate a healthy planet by teaching them all about the greener things in life. Your kids will have so much fun becoming eco-kids when they understand that being eco-friendly is not a punishment but a solution for a better future of healthfulness without feeling pressured to do so. Again, start then young. Every topic from eco-kids camps to do it yourself home art projects for learning how to better the planet one day at a time will be showcased in this section. Everything from art made with recycled materials to eco-friendly toys and supplies will be covered here. Our focus here will be reviewing eco-kids products and sharing useful information about all things green for kids! When our children transition from kids to tweens and teen-agers, there is no better time to check in and keep up with their developing feelings about our environment. As our children become more mature, we are able to share more in-depth information with them about such things as climate change, the world around us, and how to keep the planet healthy. This is the age where art projects tend fall to the wayside and more physical action comes into play when teaching about the planet’s health. Some parents could say that this age is the most challenging when it comes to accountability and behavior. However, if you create a positive environment of learning by treating your teenager as a maturely as possible when it comes to eco-topics, you may find that they take on a more eco-conscious attitude towards helping build a better environment. Eco-responsibility aside, there are many pressures to becoming a teenager. In many cases, the last thing your teen will want to be responsible for (or even talk about) is a serious environmental issue. But by engaging with them about the importance conserving and simply showing them the different aspects of creating an healthier planet, they are more likely to take on these topics on their own. It certainly doesn't hurt that organic food and clothing happens to be the in thing around school either. Perhaps teaching them why organic products are important will take it to the next level where your teens are involved. We certainly take pride in developing this section at Save With Green and hope you and your family will visit this area often. We will be taking on all the latest topics surrounding every topic from eco-baby products to eco-kids and beyond. We honestly believe that fostering the most positive, informative educational beliefs within your growing family where the environment is concerned is a win-win situation. 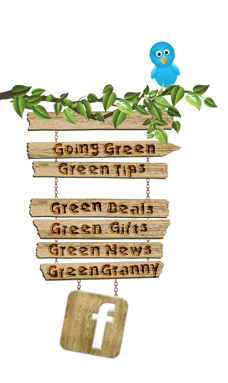 Please feel free to browse around our eco-kids family tips and topics product reviews and recommendations and utilize this information in your green home. Please see our Eco-Kids Tips Section for a wide range of tips on living healthy.